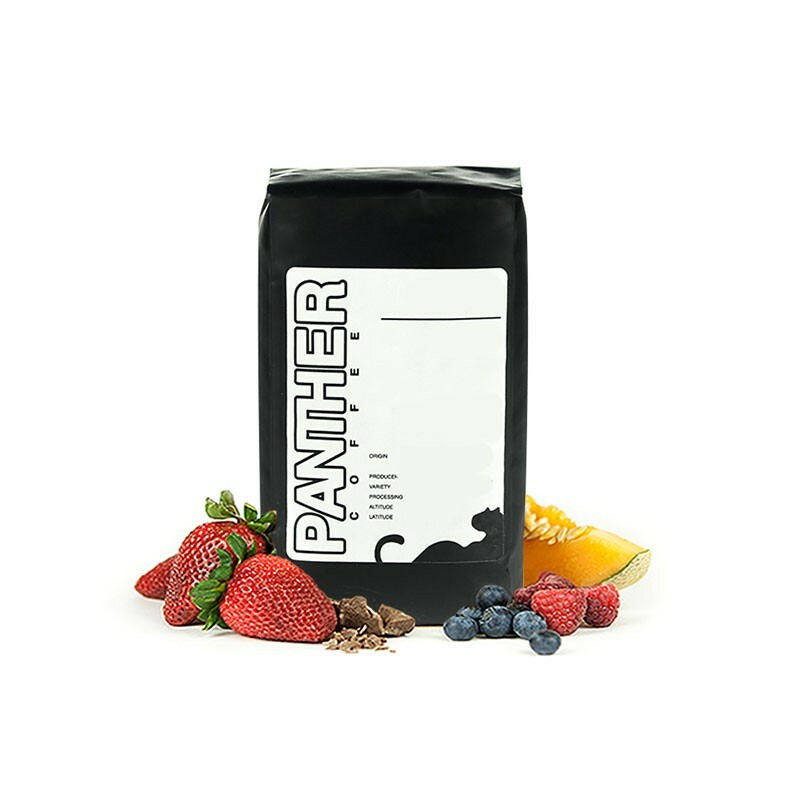 This is the Ethiopia Gera Farm brought to you by Panther Coffee. This fully washed coffee was grown by the various small holder producers in the Limmu Village, Jimma region of Ethiopia at 2,100 meters above sea level. We love this coffee for its nuanced notes of tropical fruits, melon, and citrus with a juicy overall quality. I've found this coffee to be darker than I would normally enjoy. Although I can taste some depth to the coffee, the clarity of the coffee seems to be muddied (possibly by the darker roast?) I've tried brewing it with Chemex, V60, and Aeropress, and changed parameters, but I still was not able to dial it in as well as I would have liked. Overall still a decent Ethiopian, but one that could be improved as well! Very nice, bright and clean, loved it! Good solid coffee. I think it was on the lighter side a bit. I enjoyed it and would welcome it again. Also looking to not always get Ethiopian however. We really love this coffee. Starts out mellow but then the sweet, juicy notes come out with a nice lingering, round finish. I didn't like this coffee. It was just too light and sweet and fruity for me. I'm enjoying this one, it has some nice acidity (not quite my preferred amount of acidity) and the flavor is enhanced quite well while it cools. The fruit notes are indeed nuanced, but I also get some slight chocolate notes. Difficulty dialing in ratio on this one. I tried various ratios and water temps and it still tasted flat. I get some citrus rind notes, but this coffee just didn't have the juicy vibrancy I expected. The sweetness and complexity just wasn't there for me.